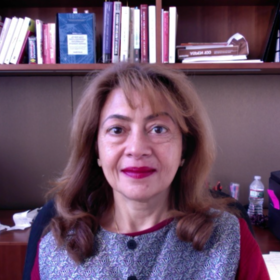 Dr. Swati Bhatt (Ph.D. Princeton, 1986) has been on Princeton’s Economics faculty since 1992, where she has taught courses on The Economics of the Internet, Microeconomics, Industrial Organization and Finance, supervised over 150 senior theses, and been Director of Student Programs at the Bendheim Center for Finance. Her research interests include Economics of Digitization, Industrial Organization with a focus on the Technology Industry and Finance. Her book, “How Digital Communication Technology Shapes Markets” was published in January 2017 by Palgrave-Macmillan. Bhatt also worked for the Federal Reserve Bank of New York (1985-1990) and taught at New York University’s Stern School of Business (1990-92).